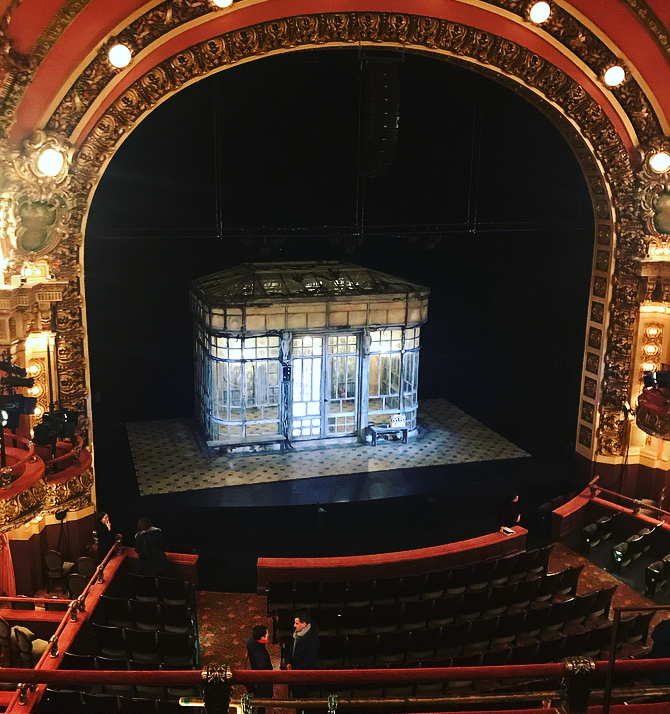 I walked out of the Cutler Majestic theater in Boston on January 17 after the Brodsky/Baryshnikov performance feeling absolutely grateful to life for putting me in this city at this time. I was also feeling somewhat lighter. As if life had become clearer and easier. But because reality often has to ground us during any flight of joy, I heard a woman walking in front of me say to an Uber driver "This was the most depressing thing I have ever seen." If I say that Brodsky's poems are not for everyone, I would be wrong. They really are for everyone because the poet's clarity of thoughts makes it impossible not to understand them. This understanding, however, may have caused some in the audience to feel depressed. The poems were in Russian and they were a very deep dive into difficult questions and a dissection of time, old age, and loneliness. There were subtitles in English which may not have been necessary during the entire performance. Everyone understood. This kind of poetry does not allow you to shut off your senses and intuition at all, and it may not immediately strike you as "empowering" or "positive." It is not about healing or overcoming. It is a dangerous search of truth, which is not always life-affirming. To contemplate Brodsky's poetry might not be what one's therapist recommends. You cannot really discuss Brodsky at the golf course or during your lunch break at work. A discussion with the Uber driver is perhaps suitable because, sooner or later, your ride ends. How long is a short Uber drive with an existential discussion in it? How short is a long life? When Brodsky had to leave the Soviet Union, he wrote a letter to Leonid Brezhnev: "Dear Leonid Ilich . . . A language is a much more ancient and inevitable thing than a state. I belong to the Russian language. As to the state, from my point of view, the measure of a writer's patriotism is not oaths from a high platform, but how he writes in the language of the people among whom he lives . . . Although I am losing my Soviet citizenship, I do not cease to be a Russian poet. I believe that I will return. Poets always return in flesh or on paper." 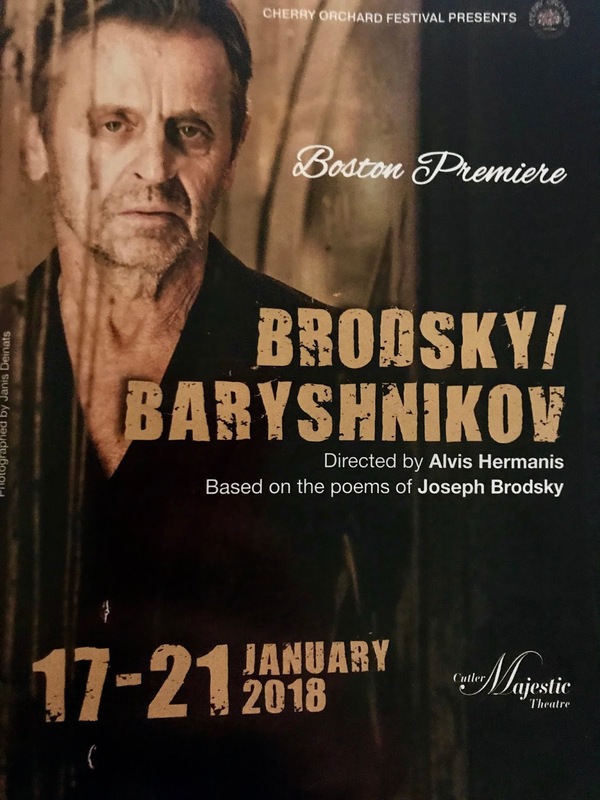 The return of the poet, to all of us, clearly takes place on stage during the Brodsky/Baryshnikov performance. Brodsky was interested in exploring the nature of time and what it does to people. To put an interest so abstract into a performance, to give it physical shape and dimensions, is an extremely ambitious task. This is not a task for an actor, perhaps not even a task for a philosopher. It is a task for someone who has the means to express ideas with unconditional precision. A true maestro. Mikhail Baryshnikov, one of the best dancers of the 20th and 21st century, is one of very, very few people in the world person who can do that. He is uniquely able to express ideas with the universal language of movement. He took Brodsky's words and translated them into a message that goes beyond the boundaries of language. Every small gesture, every turn of his head in the performance had meaning and the meaning was mercilessly clear. The effortlessness with which he delivered this meaning to us, the audience, leaves one incredulous. We may have thought about the questions raised by Brodsky on our own, time and time again, but seeing these questions literally embodied by another human being, brings a a feeling of tremendous, pure energy. I felt as though I stood in the same room with the strength of the human mind rising through time. Not a collective mind or an individual mind, but the mind as a possibility, outside of quantitative measurement. To comment on the other aspects of the performance, I would like to share that the set and lighting were exquisitely designed to match the genius of Baryshnikov. He could have delivered this performance on an absolutely bare stage and still dumbfounded us, but this set was worthy of his presence and talent: a white structure full of light and shadows through which a single human being moves with graceful precision. What an eloquent way to present the miraculous battle of humanity with understanding itself.